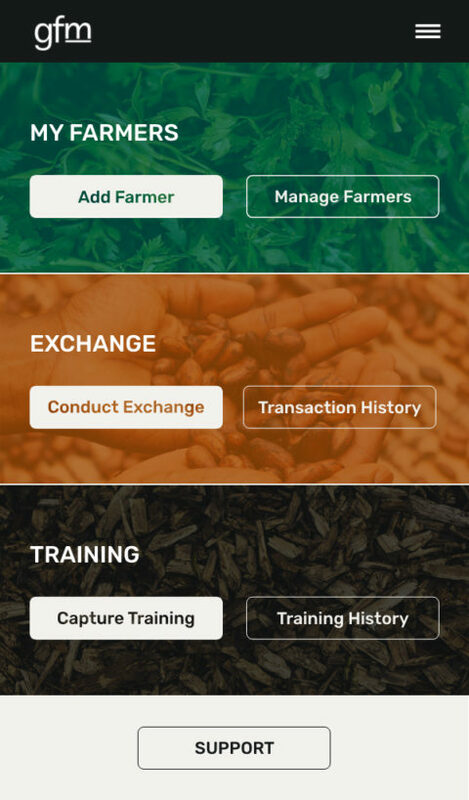 GreenFingers Mobile’s “SaaS Platform” enables field staff to efficiently manage farmers and resources. The platform is customized to the clients needs and use cases, to maximize impact. The data can be easily adapted to different countries and regional hierarchies, languages, currencies and crop types. Through the use of “caching”, the platform works in rural or field settings where there is no data or cell phone reception. 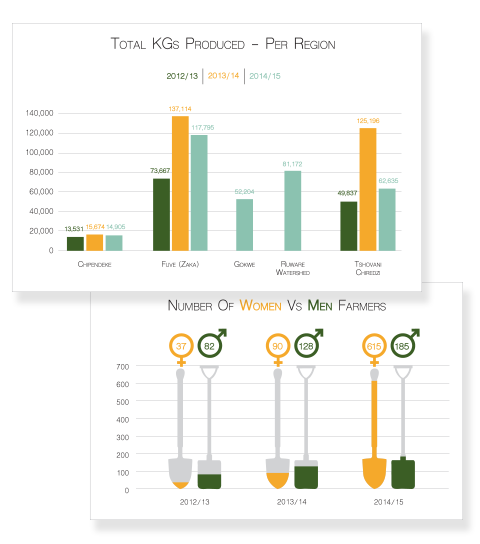 Greenfingers Mobile’s Intelligence Backend provides a web based dashboarding tool for easy aggregation, customisation and visualisation of all collected data, into simple info graphic widgets. Large data sets and customized KPIs enable an easy assessment of a multitude of dimensions such as crop yield, pest and herbicide use, financial exchanges and technical assistance at a farmer level or aggregated across multiple farms and regions. A comprehensive hub of detailed reports and dynamic graphs are available for the purpose of intelligent decision making. Automated weekly or daily activity reports and flagging of unusual behavior allow for close monitoring of transactions and field staff activities. All data (and reports) can be downloaded as csv or excel and integrated with other ERP systems. The collected data forms the building blocks for added services such as warehousing and logistics, financial management and forecasting, credit scoring tools and targeted interventions which are custom build for every client. Measuring and tracking the socio-economic impact of smallholders, alongside environmental impacts is an important part of building sustainable and ethical supply chains.  To measure and track the socio-economic impact on smallholder farmers, GreenFingers Mobile has built mobile phone/tablet based impact assessment tools to digitally track a multitude of qualitative and quantitative dimensions. 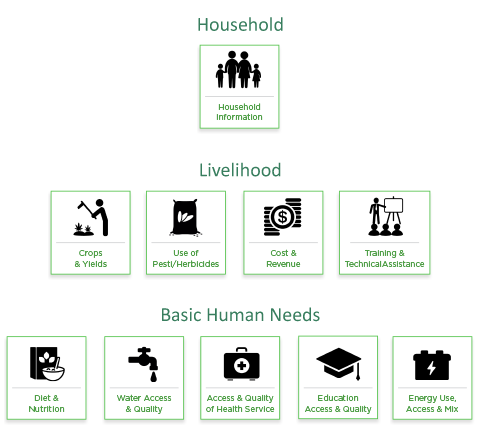 The assessments consist of three tiers: the household’s socio-economic data, livelihood information, and an assessment of the household’s basic human needs. The assessments are complemented by community studies to contextualize the programs and the impacts. 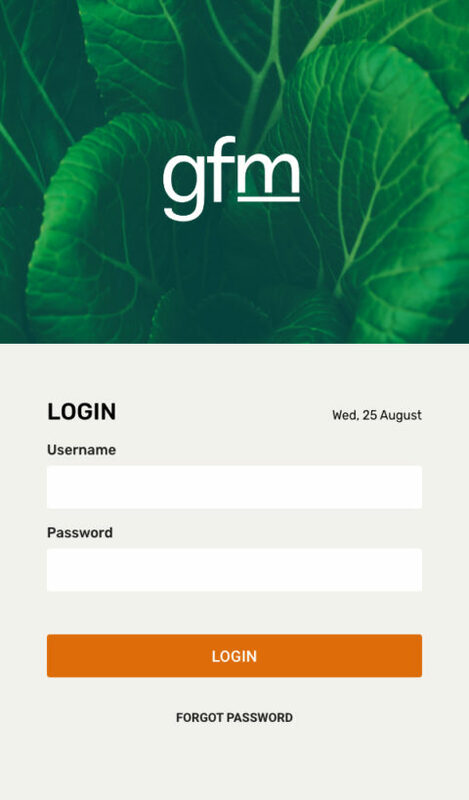 Community baseline studies and impact assessments are administered digitally through the GreenFingers Mobile platform. Through our partners, Impact Amplifier, we can support our clients in designing an approach to impact assessments which include all the layers of data collection, analysis, through to reporting. Provide targeted training material and content directly to the handset. Control ‘work related only’ instant messaging built into the handset app. This is useful for managing excessive data costs. 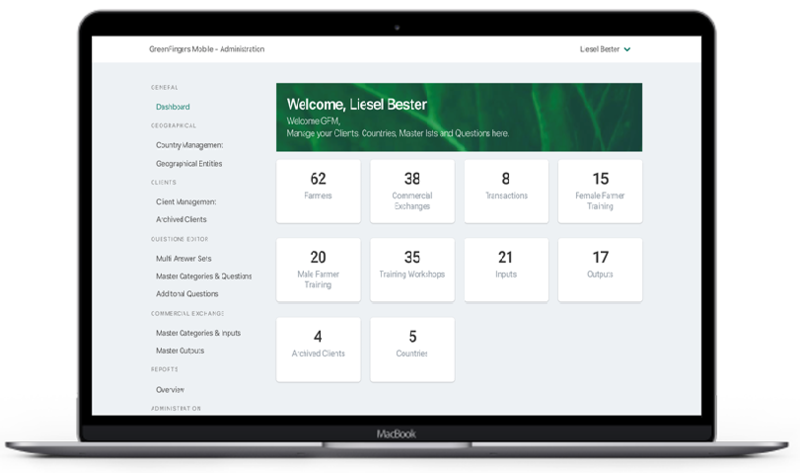 Manage yield forecasts for the upcoming growing programmes and regions. GreenFingers Mobile is a mobile technology platform which manages and finances large groups of smallholder farmers in value chains.